Visiting Hawaii? Wondering When to go? How to get around? Check out these key tips to make the most of your Hawaiian vacation. Hawaii is a popular destination, especially for those Canadians living in the West. Oahu is the most popular island and where the majority of flights fly into. Many travellers to Hawaii choose to start here and use it as a base before they go island hopping. Some useful information to have is how long it takes to travel between the Hawaiian Islands, here is a quick cheat sheet. An important note about travel to/from Molokai, Lanai and Maui: The airports on the islands of Molokai and Lanai are limited to commuter airlines, as are the two smaller airports on Maui: Kapalua-West Maui and Hana Airport. In addition, there is daily ferry service from Lahaina Harbor in Maui to both Manele Bay in Lanai and Kaunakakai Harbor in Molokai. When visiting Hawaii there are plenty of accommodation types to choose from. Historic to modern hotels, luxury resorts, charming vacation rentals, bed and breakfasts, hostels and rental condos. We are here to help you decide. Give one of our experienced travel consultants a call to assist you in narrowing down your decision. What is so wonderful about Hawaii is anytime of the year is a good time to visit. Summer, between April and November, is warmer and drier (average temperature is 24˚-31˚ C) while winter, between December and March, is a bit cooler (20˚-27˚ C). Trade winds keep things comfortable year-round. Many travellers to Hawaii will tell you that renting a car is the best way to get around and see the Island you are on. Your UNIGLOBE travel consultant can help you pre-book this and make sure you get the best car for your budget and style of travel. Reserving your car in advance is important because quantities can be limited on some islands. When staying on one area, many visitors enjoy taking bus tours to conveniently explore the nearby attractions. Shuttles, taxis and public transport are available on most islands. We are here to help. 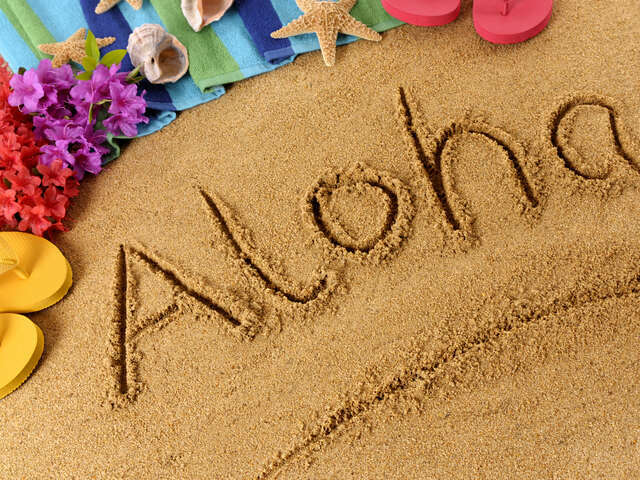 Give us a call and we will be happy to help you plan your Hawaiian vacation.